Independent retailers such as coops, family grocers, and regionals have long been among the first to embrace innovations. At the National Grocers Association’s convention last month, where 50 retailers participated in a session about growing sales and margins through digital marketing, this trend shows signs of persisting. 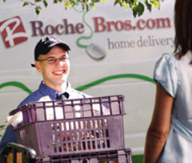 Roche Bros, an 18-store chain in New England, has employed personalized website offers and search engine marketing. The incremental revenue can generate the equivalent of new store additions—without the overhead. In Real Estate, digital provides a virtual presence where low development costs make it far easier to match big players. In Merchandising, sourcing arrangements extend shelves beyond what an independent could achieve in a physical store. In Marketing, technology for targeting and delivering messages facilitates both low cost and highly differentiated communications. In Operations, third parties enable best in class hosting, order fulfillment, customer support and other services. It’s tough being an independent in today’s retail landscape. But to their advantage, they often know their shoppers better than the big chains. When firms such as Roche Bros. add a digital willingness to experiment, they not only level the playing field but tilt it in their favor.